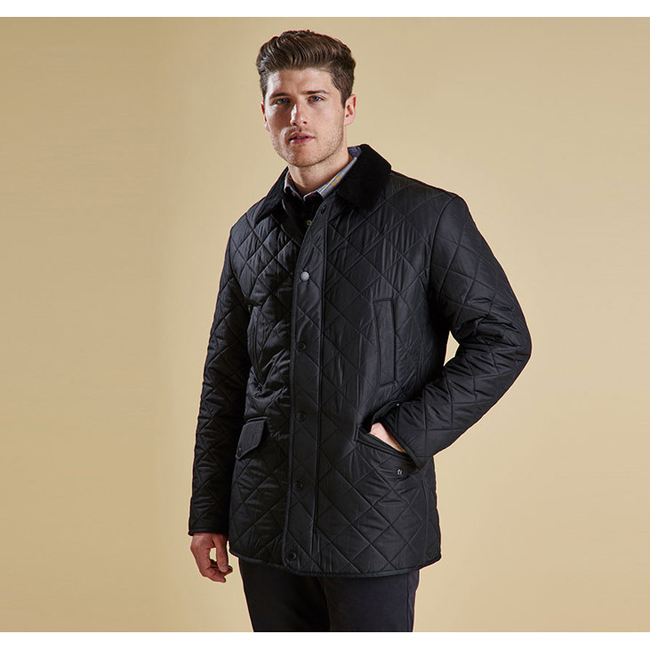 The Bardon brings the original Barbour Polarquilt jacket up to date with a modern, tailored fit and reworked styling. A stylish winter all-rounder, this good-looking, practical men's quilted jacket is constructed in Barbour's signature Polarquilt combination. The iconic diamond quilted outer is lined with 280g fleece for essential insulation, and finished with a stylish corduroy sit-down collar that can also be raised and fastened with the detachable throat tab, for additional protection against the elements. Designed to protect against wind and rain, a sturdy two-way zip is reinforced with front stud fastenings, and two waist-height handwarmer pockets are a must-have on cold winter days. Generous outer pockets give plenty of room to carry essentials, and a zipped inner patch pocket help to keep valuables safe. Available in four classic colours. This site really helped me choose what size I wanted. It was nice to see how the jacket actually looked on someone close to my size. Though I am 5'4 and 120 lbs, I chose to get an x-small because I wanted something more fitting. It fits perfectly but if you're looking for room to wear a sweater, choose a small. I have room to wear a layer underneath without it being tight on me but if you want to wear sweaters, a small would give you a lot more room. The fleece isn't as glossy as it looks in the picture but I still love the color. Overall, it was a great buy.